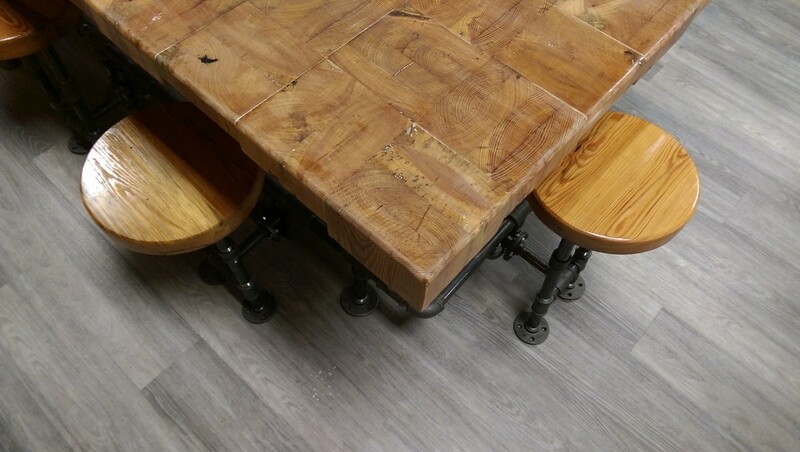 Lucky's Market approached us about creating a community table for their cafe area. We wanted to do something unique, something that would reflect the Lucky Market ideals while also connecting with our community here in Savannah. Inspired by downtown, this table is meant to use the wood block squares in a similar way that Savannah did, as a grid. The variation in thickness along with the industrial base is a nod to the iconic canopies you see all around downtown Savannah.